Gathering time and venue will be 5:00pm at JR Harajuku Station. Harajuku is one of the fashion and shopping landmarks in Tokyo. There is even a fashion style named after Harajuku that features some extravagant clothing and hairstyles. Harajuku has plentiful popular fashion spots and trendy shops. Walk down from Takeshita Street to Omotesando and Cat Street, the spiritual home in Tokyo’s fashion history, you will then walk towards the famous Shibuya Crossing. On the way to Shibuya Crossing, we will also walk through a backstreet alley and stop by at an observation spot where we can take a full view of the Shibuya crossing, Shinjuku and some other areas. 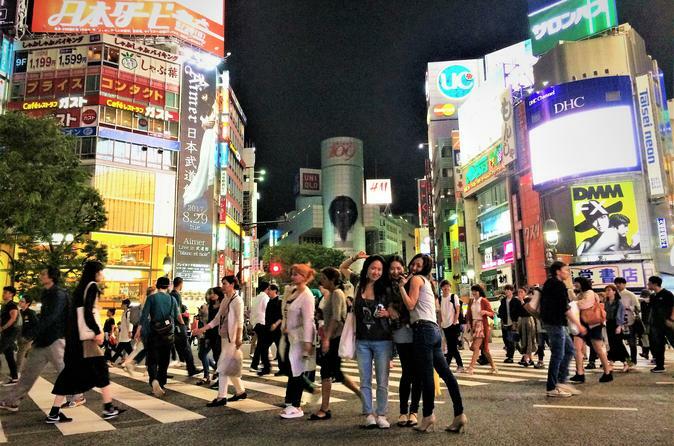 We will take a group picture at Shibuya Crossing and then head for dinner. For dinner, we will let you try some local Japanese food and style dishes in Izakaya or some other Japanese style restaurants, where you can experience the culinary culture of Tokyo. At the end of your tour, your guide will help you with directions to get back to the starting location, or lead you to the nearest station.